According to quantum mechanics, microscopic vibrations (sound waves) in solid media are quantized. This means that vibration energy can only be exchanged in the form of so-called phonons, which have an energy which is Planck's constant h multiplied by the phonon frequency. They lead to very fast transitions between different sublevels of Stark level manifolds, and therefore to fast thermalization of Stark level manifolds and to significant lifetime broadening. 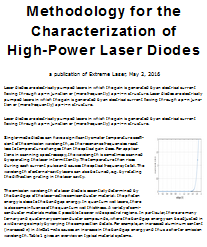 Particularly in vibronic lasers, they can strongly increase the gain bandwidth. They can cause multi-phonon transitions between Stark level manifolds (→ quenching), which can degrade the laser efficiency in some cases and can be an essential part of the laser operation in other cases. They are involved in Raman scattering and Brillouin scattering, where an incident photon is transformed into a photon with slightly lower energy and a phonon carrying away the difference of photon energies.